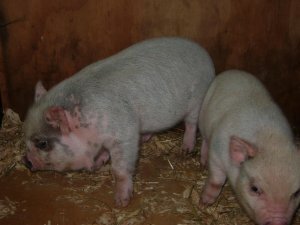 We specialize in CUTE, CUTE, CUTE, happy and healthy miniature pigs. We take pride in each and every piggy that we have, not only in our babies but our adult breeders as well. Our babies are raised in our home and they are spoiled before going to their new family. We strive to have well socialized and loving mini pigs that are played with and loved everyday before going to their new homes. We love our pigs just like they are family. We breed for quality, healthy and happy mini pigs in a variety of beautiful and unique colors. We have been raising miniature pigs for the past 8 years and we are extremely dedicated to our pigs. It is our goal to make sure each of our babies find the perfect home filled with the love and attention they need for a long and healthy life.